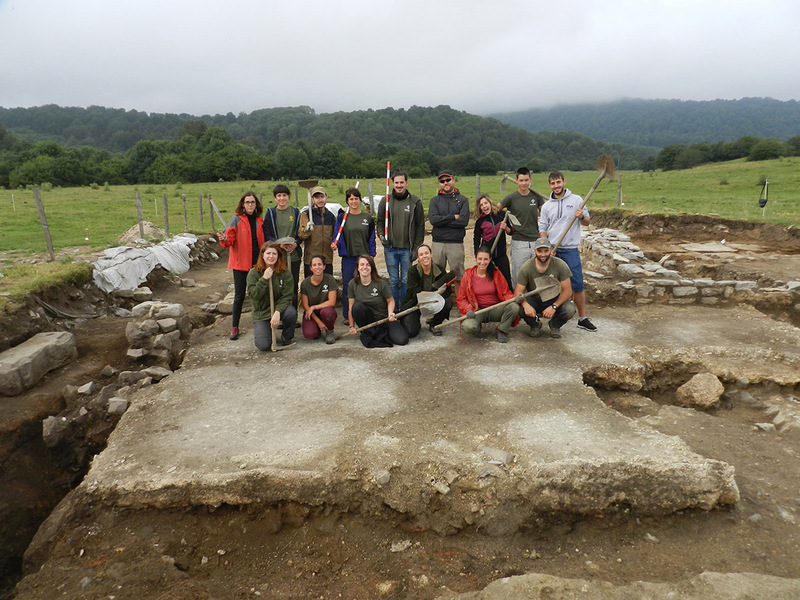 For 5 years we’ve been working collaboratively with Aranzadi, a scientific association from the Basque region of Spain, to excavate a mysterious Roman town in the western Pyrenees and provide skills and training opportunities for volunteers. By using Roman itineraries – guides produced for travellers which gave the distances between places on important routes – we know that this town is likely to have been known as Iturissa and with each dig, we uncover more fascinating information about this once bustling town. Iturissa sits at a crucial point along the Roman road that led to modern day France from Spain, which has always been an important route. This strategic location means it could have been used as a stop for travellers, creating an opportunity for trade and a large community of people and is therefore a great place for us to teach our methods for excavating complex urban Roman remains. Years of excavation have looked at separate areas of the town. Many of the buildings were built of wood and the evidence for these survives as low walls which would have carried the timber baseplates and circular stones set into the ground to support upright posts. However, in the last two years work has focussed on the centre of the town where at least one substantial masonry building has been unearthed. This year we aimed to further explore this complex structure. We revealed a new room within the building, stone walls that are testimony of the use and re-use of the site, a possible external surface made of big clay tiles and stones, and a number of burning activity areas surrounding the newly discovered room. Our partnership began in 2013 and since then we’ve been sharing our knowledge and experience of excavating Roman sites to train and up-skill volunteers. In order to record this complex site properly, a method called Single Context Planning is essential. This means that each archaeological feature (like the remains of a building) is recorded individually and its relationship with the surrounding context carefully observed. We normally use this in deep, archaeologically rich urban sites with many layers containing evidence of human activity. 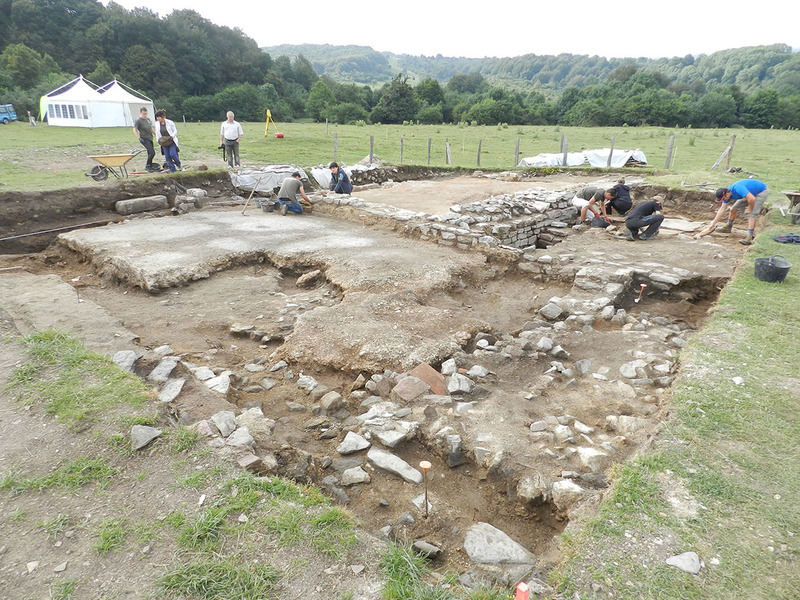 Iturissa is an urban site with complex archaeology that sits within a rural landscape, so using this method really helps us to gain a thorough understanding of the occupation and function of the site. Our collaborative endeavour with Aranzadi means that archaeologists with little urban experience have learned and continue to learn this valuable skill. As a fieldwork trainer and a Spanish native speaker I was able to help the volunteers understand using this method both in theory and in practice. Together, we created a record that follows standardised conventions and can be understood by professionals internationally and we hope to continue this work next year. A geomatics professor from the Univesitat Politècnica de València has completed four month skills exchange placement with us, working with our geomatics, photography and Thames Discovery Programme teams to create several 3D models.